This is my little entry into the PSXDEV Codeblast '13 competition. 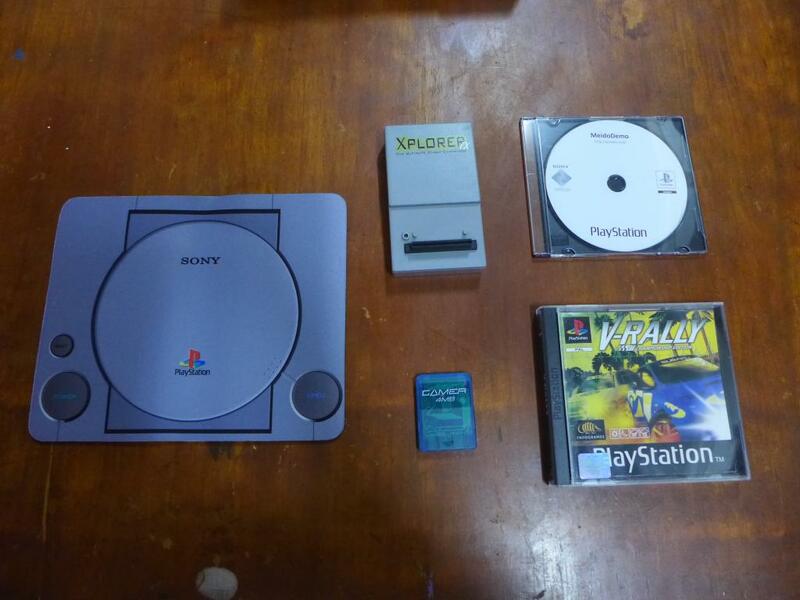 Its a simple demo to announce that I'am entering the PSX homebrew scene for the first time ever. 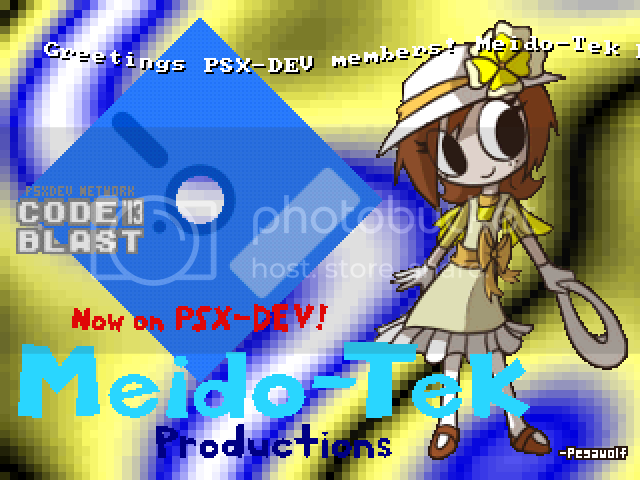 All my future productions for the PSX will be under my 'Meido-Tek Productions' label...That's why this demo is called Meido Demo. Note: I recommend using ImgBurn when burning the image to a CD...And use pSX when running on an emulator so the CD audio tracks will play. me too. nicely done mate. i'll refresh the code with a nice 3D object and publish the Demo later in here. inc^lightforce wrote: me too. nicely done mate. Thanks! And you're welcome about the greets. Do you have the link to your Plasma Cracktro from 2001? I'm interested to check it out. After i've seen your Demo i remembered of mine and i recode now a better Version with a 3D Object. In the Cracktro i used not enough Colors and leave it simple. Vote bar removed for competition #02 end. This game had a total of 4 votes and came in first place (won). Lameguy64's prizes have been posted!